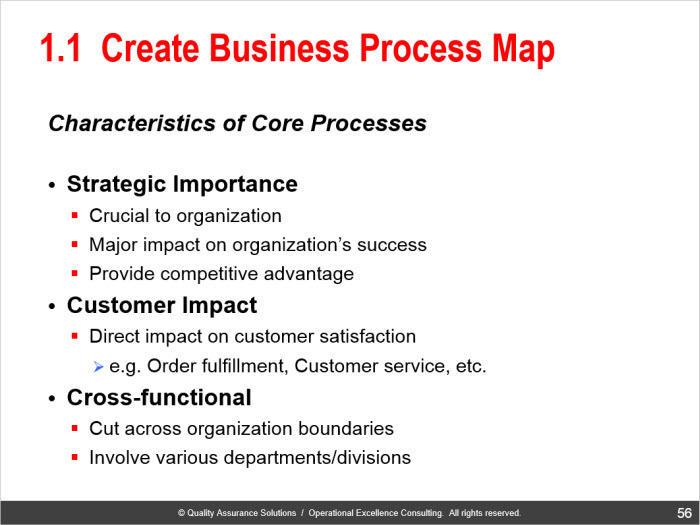 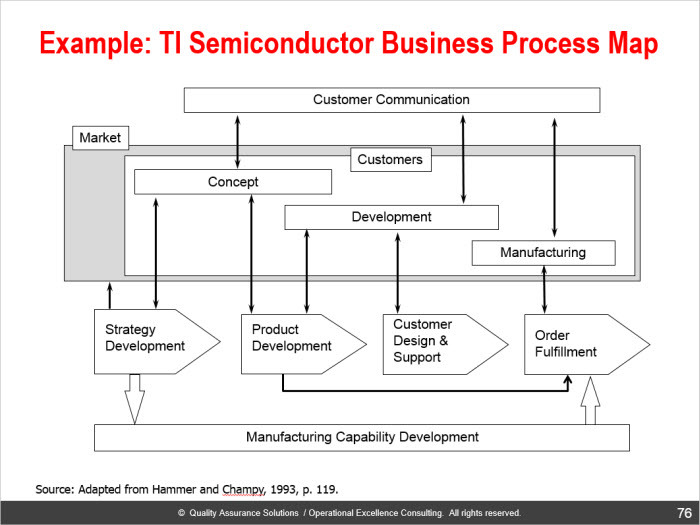 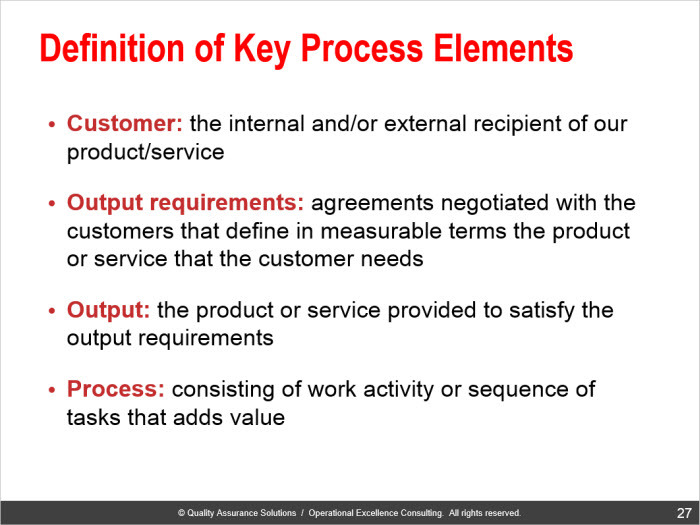 Teach the Business Process Reengineering to your staff? 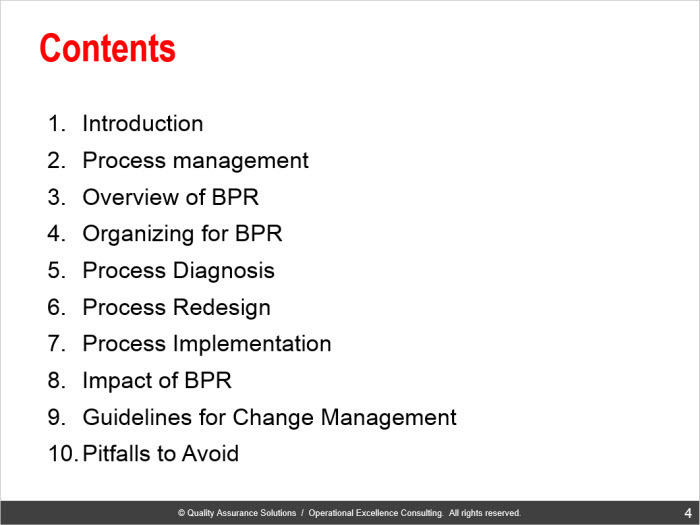 Completely rebuild a process from scratch for large improvement gains? 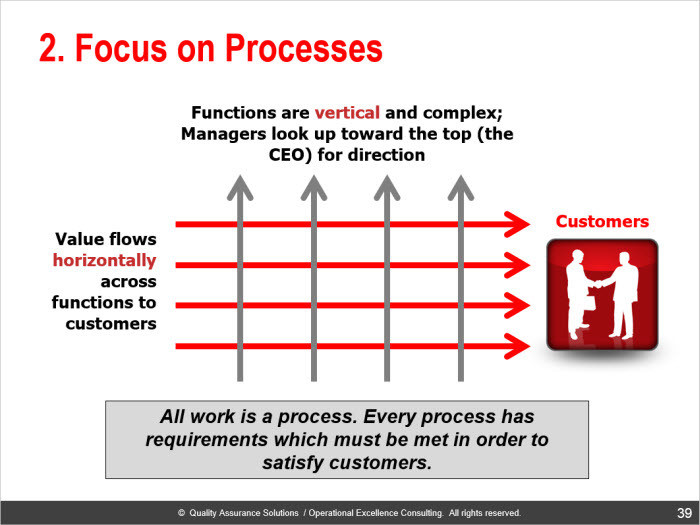 Fix problems that cannot be solved by your current process? 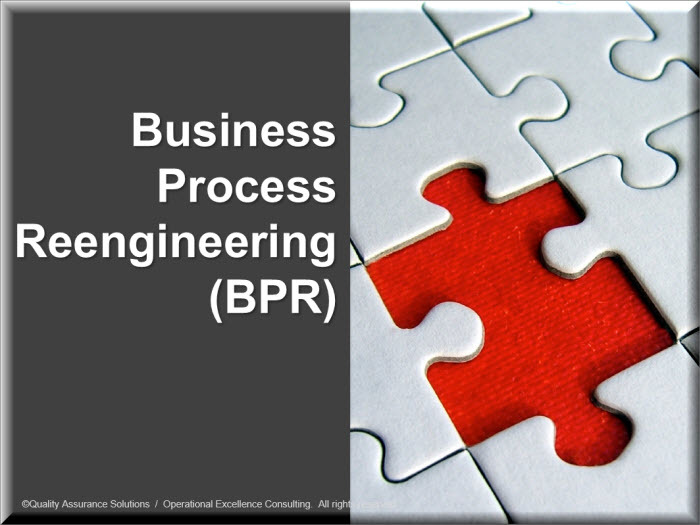 Business Process Reengineering (BPR) fundamentally rethinks and radically redesigns business processes enabled by information technology to achieve dramatic improvements in business performance. 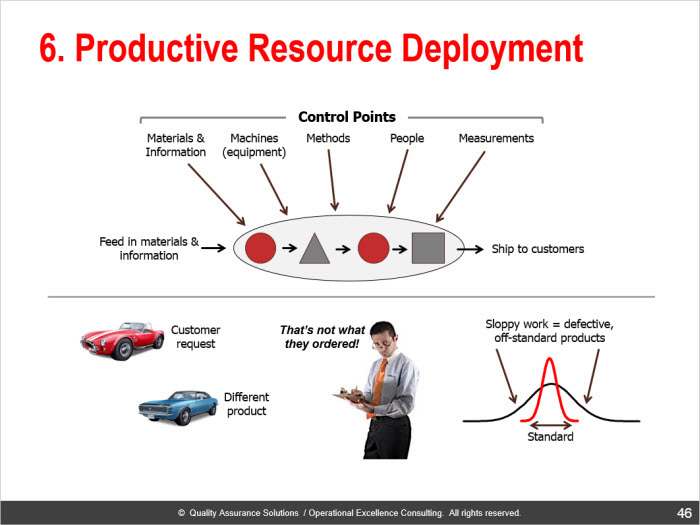 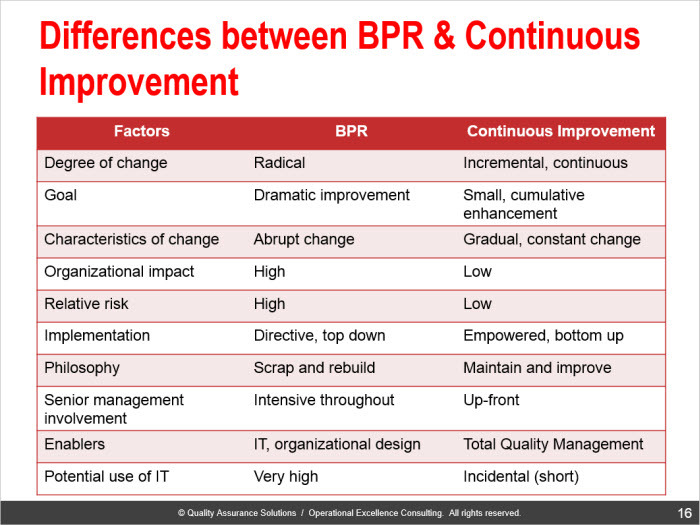 BPR provides answers to organizations who expect results over and beyond what common continuous improvement techniques can offer. 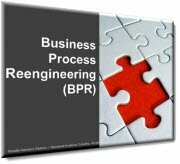 Companies with successful process reengineering include Ford, Bell Atlantic, Mutual Benefit Insurance and Xerox among others. 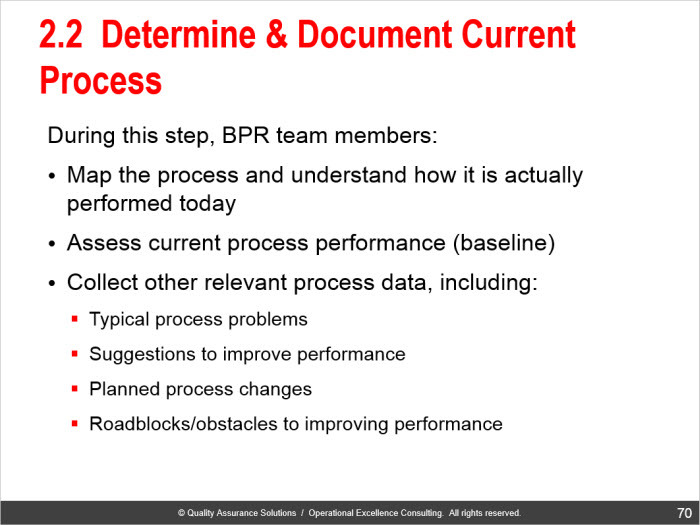 By teaching this presentation to management teams and staff, they gain a better understanding of the correct approach to implementing BPR which improves their chances of success.